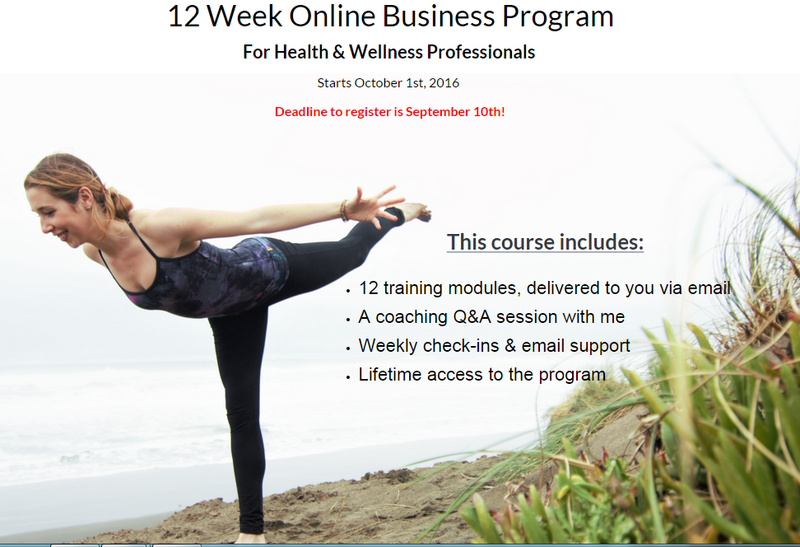 Online Biz Training for Yoga Teachers! Although you might agree with everything I've listed above, it can also seem a bit too good to be true. .. If you have no experience in marketing or business, how the heck are you supposed to start an online business? What's the first step? What should you prioritize? How will people even find you from the crowd? The truth is, you don't need to be super tech or business savvy to run an online business. Terms like lead generation, social media marketing, web optimization and passive income generation sound really daunting but I firmly believe that anyone can learn this. My 12 week online business course is jam packed with concrete, step by step information to get you up and running as a business so you can start expanding your audience and increasing your revenue. How great would it be to be told exactly what you need to do to make money online? Honestly, I wish I had done that when I was first starting out. Instead I tried to do everything myself and ended up wasting SO much time and money because I didn't know what I was doing. I would've loved to have someone I could turn to for answers to my questions. If this sparks your interest in any way, I encourage you to check out my 12 Week Course which begins October 1st. If you'd like to learn more about the curriculum AND get 1 of the 12 modules for free right now, CLICK HERE. I'm so excited to start this program!!! I'm sharing with you all my best info. Deadline to register is September 10th. Let me know if you have any questions! Big companies are paying average people just for sharing their opinions! At Technoweigh India is electronic weighing bridge manufacturers in Delhi, we are manufacturing quality range of products like universal weight indicators, electronic weight indicators and we are weighbridge exporters from India. We provide electronic Weigh Bridge in India.